I won’t say I’m a snob about home theater design or equipment, but I’ve probably been heard to make a comment about friends’speaker systems or a poorly set-up TV now and then. That said, designing a home theater is a hobby based more on guidelines than rules. Often those guidelines are bent to accommodate things like budget, architectural constraints and even taste. As my 17-year-old daughter often points out when we argue, being right isn’t always the most important thing. In Electronic House, we profile some of the most awesome home theater design systems in the country. Most of these are professionally-designed and installed, and meet very high performance standards. Always they meet the customer’s goals. Yet sometimes we, and our very tech-savvy readers, notice things that could be done differently. From product selection, paint color or gear configuration, there’s always something that someone would change. That’s one of the fun things about both electronics and the custom home theater industry–no system is or needs to be the same. Sometimes there are, and have to be, compromises. Usually it’s the client/homeowner who insists on the compromise, and in those cases, the client gets what the client wants. We may be sticklers for detail, but it’s important to remember that not every person has the same standards, needs or expectations. 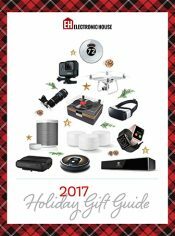 With that in mind, I compiled a list of common, and very livable, home theater design or media room compromises. Many of which I’ve done myself (even though I know better). This is a complaint/comment I hear all the time: “Why did they go with light-colored walls?” The answer is usually very simple: the homeowner wanted it that way. While the ideal home theater room would be completely covered in black fabric (which itself covers hidden acoustic treatments) not a lot of people want to live in a room like that. A home theater is not just about the pristine picture and sound—it’s a whole package which includes the homeowners’ design taste and style. 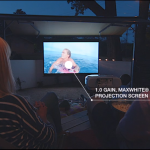 Light-colored paint in home theater designs may have been a big problem years ago, but today projectors and screens are much better at accommodating bright rooms, so don’t immediately assume that white walls mean a dim picture. Here’s a compromise I’m guilty of. After balancing my speakers, and accounting for the differential introduced by my acoustic screen, I still like to kick my center channel up a few decibels Am I hard of hearing? No (at least not according to my last hearing check). I just like to ensure that I don’t miss any of the important center channel information (mostly dialog). I watch a lot of action and horror movies, and those movies have a tendency to overdo audio special effects to the detriment of dialog. Super hero movies overdo the explosions while haunting movies often have the LFE channel set on a constant low drone (The Conjuring was guilty of this). A center channel boost makes sure I can hear the actors whispering even when I have to turn the overall volume down (to keep from waking the rest of the house). This one is related, but the flip side of the center boost issue. I like big subwoofers, I cannot lie. Unfortunately my theater soundproofing isn’t sufficient to keep 1,500 watts of sub from leaching into the rest of the house. Most of the time I keep the subwoofer volume turned to a level where it won’t disturb the people upstairs. I don’t like doing it, but I have family, and they come first. A/V receivers’ night modes or dynamic compression features rarely work well. Plus, non-directional rumbles tend to get my dog upset. He doesn’t know what direction to snarl in. When the rest of the family is out, well, let the games begin. Soundbars are now very acceptable alternatives for full surround sound systems in many situations. 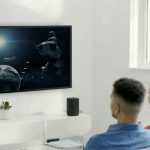 Often we get comments deriding the sight of a soundbar in a living room, but the majority of the TV viewing in rooms like that is probably normal TV programs. Sure, The Big Bang Theory may technically be broadcast in Dolby 5.1, but is Wolowitz any funnier with surround speakers than without? Good soundbars, especially ones with separate wireless subs, can add tremendous depth to TV audio without some of the intrusion or cost of separate speakers. I wouldn’t use one in a dedicated theater or a media room where performance was paramount, but for most living rooms, they’re great. Like soundbars, in-wall and in-ceiling speakers still get derided as poor compromises for floorstanding speakers. First, not a lot of people want floorstanding speakers in their homes anymore. Client comes first, end of story. But beyond that, in-wall and in-ceiling speakers have gotten a lot better in recent years, so good in fact that many people wouldn’t be able to tell the difference. Good quality architectural speakers are no longer a compromise in a home theater system. They’re just an option. The trend in electronics these days is to hide everything—retractable screens, motorized projector lifts, remote gear closets… All those are signs that a professional spared no expense or creativity in finishing the job. 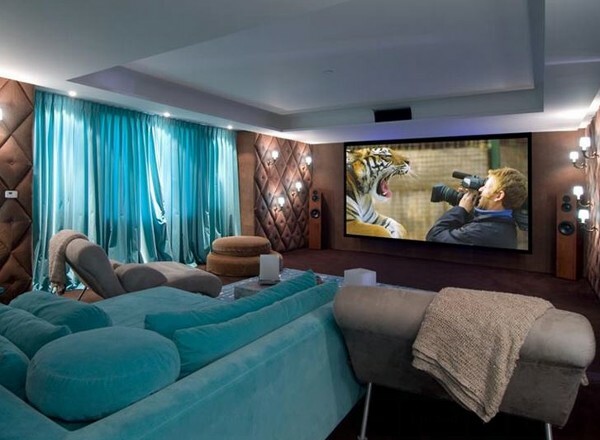 We love to see home theater designs like that, but we also know that not every homeowner is ready to spare the expense. 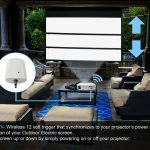 Maybe a homeowner wants to put his or her money into a great screen or great projector instead of motors to hide the gear away. Maybe there isn’t space to build a gear closet, so an attractive in-room rack is used. When you turn the lights off, all that stuff disappears anyway. Also, some people simply like to see their components. Why have all those blinky blue lights if you’re not going to enjoy them? Few things raise hackles more than audio debates. There are plenty of hi-fi fans, purists maybe, who scoff at expensive music distribution systems that ultimately play internet streamed audio files. There are other people who just can’t be bothered to fuss with turntables or high-resolution digital files. Look, if the person doing the listening is ecstatic over whatever he or she is listening too, then that’s a good thing. Ideally, our listening rooms would be outfitted with a professionally placed assortment of acoustic diffusers and absorbers to ensure that the sound waves are doing just what they’re supposed to do and aren’t confusing your ears with audio backwash. The ideal isn’t always possible. Often because of cost or design constraints we have to EQ our way out of acoustic nightmares, and for the rest, a couple beanbag chairs and book cases help. When sealing up a window isn’t an option, some heavy drapes are still an improvement. My own basement theater, shown here, is full of compromises, including the ceiling light I didn’t feel like moving.